As early as 1938, with the threat of conflict looming in a Germany enraptured with a new war-mongering leadership, the directors of the Musée du Louvre in Paris began an ordered evacuation of its massive public art collection, that included some of the most iconic works of art in the world. They chose various nondescript sites scattered about the French countryside – places where any invading armies would not dream of looking that were far away from strategic targets. It was at the end of August 1939 – three days before the German invasion of Poland that kicked off the Second World War – that the Mona Lisa was taken from the Louvre to go into “hiding”. France and Britain jointly declared war on Germany on September 3rd, 1939 and the decision was made to evacuate all the most precious artworks from the Louvre Museum that very day. 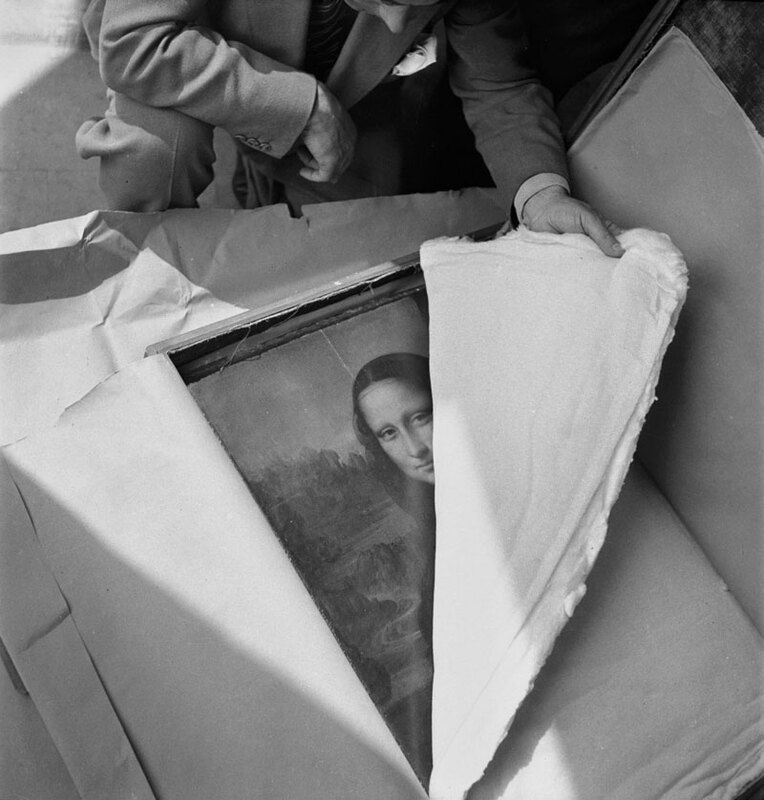 The Mona Lisa kept here smile intact during a further five moves during the German occupation: an unprecedented amount of travel for Leonardo da Vinci’s masterpiece now deemed too fragile to be moved anywhere. More than 3,600 paintings, along with sculptures and various other objets d’art were packed into hundreds of crates and despatched to various safe houses in 37 convoys, joining the other vehicles filled with refugees that began to leave the capital in their hundreds of thousands. One can only imagine what an unprecedented event it was for those involved in the artistic evacuation to see close-up and handle some of these priceless pieces that were brought down from the pedestals and galleries of the Louvre for their journeys southwards. The Winged Victory of Samothrace was sent to the Château de Valençay in the middle of the country. The Mona Lisa, along with all of the Louvre’s other paintings, went first to Chambord (the largest château in the Loire Valley), then to Louvigny in the East. It was then decided to move the paintings farther south to the fortified Abbaye de Loc Dieu, to where the convoy arrived, with one lorry alone devoted to the transport of the Mona Lisa. After that, a further move south was precipitated to the Musée Musée Ingres in Montauban (just north of Toulouse) before a final transfer 150km north to the more discreet Château de Montal. Jacques Jaujard was the director of the national umbrella museum organisation Musées de France at the time and it was he who supervised the logistical challenge of moving these delicate masterpieces in wartime France. During the Second World War, the Louvre didn’t lose its place at the cultural heart of the capital. 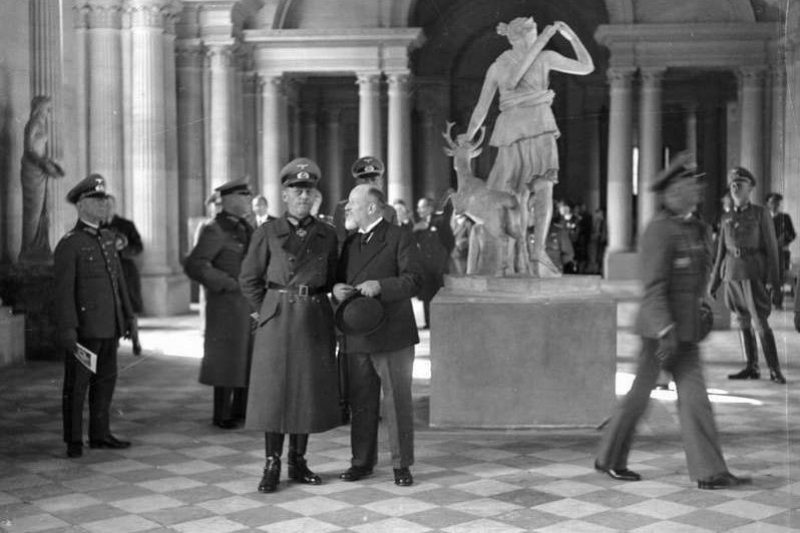 Under the insistence of the occupying German authorities, the museum was reopened to the public in September 1940. It was a symbolic move on the part of the Nazi regime, who wanted to maintain the semblance of normal life continuing. With so many pieces removed from the galleries, it was impossible to replenish them to any significant degree, so many of the walls were left bare. As the war went on, many of these empty spaces began to get filled by works of art that had been plundered by the Nazis from wealthy Jewish families or art dealers. 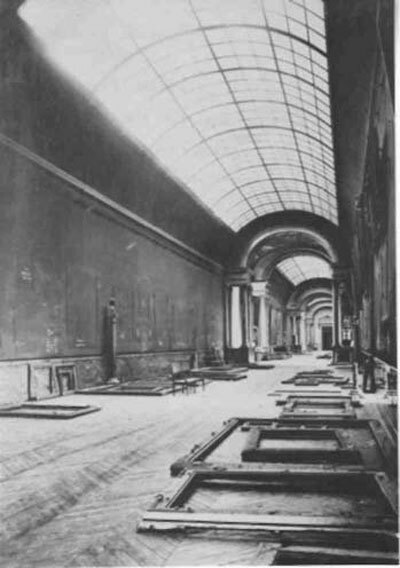 A section of the Louvre devoted to “Near Eastern Antiquities” was declared out-of-bounds to museum personnel and controlled exclusively by the Germans. They also used the nearby Jeu de Paume museum as a repository for their growing collection of looted pieces of art. Jacques Jaujard and his team were helpless to prevent this process of sequestration while the Nazi occupation remained in place. After liberation, the Louvre underwent substantial renovation and, slowly but surely, it began to open up to the public once more during the years immediately after the end of World War II. By 1947, all of the Louvre’s signature masterpieces were back on the walls and pedestals of the world’s largest museum. Thanks to the devotion of Jaujard and his team, they had survived the war virtually unscathed. Next Next post: Have you Heard the one about the President and the Actress?